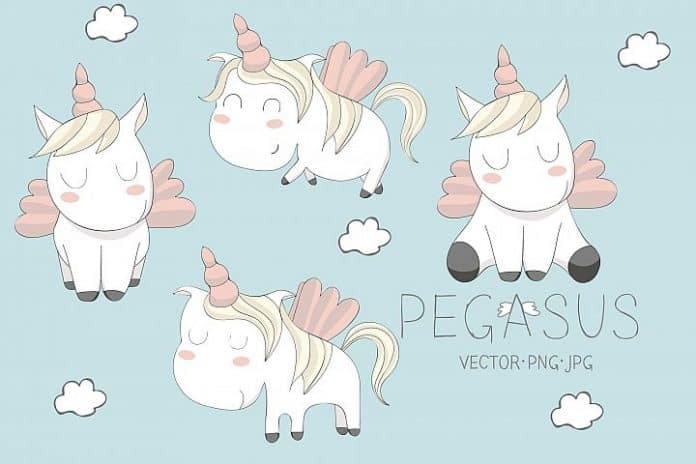 Create a wonderful design using this FREE Pegasus Illustration set. 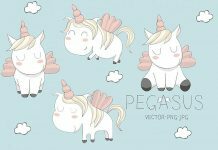 These cute and adorable Pegasus designs are perfect for your notebook, scrapbook, cards, greeting cards, invitations and more. This Illustration are in AI, EPS10 vector file, 4 JPEG images (300 DPI), 4 PNG with transparent background. This design is created by Kind Goods Shop. You can download it for free at designbundles.net.